Read below for how we partnered with their incredible team to provide an updated, informed design! 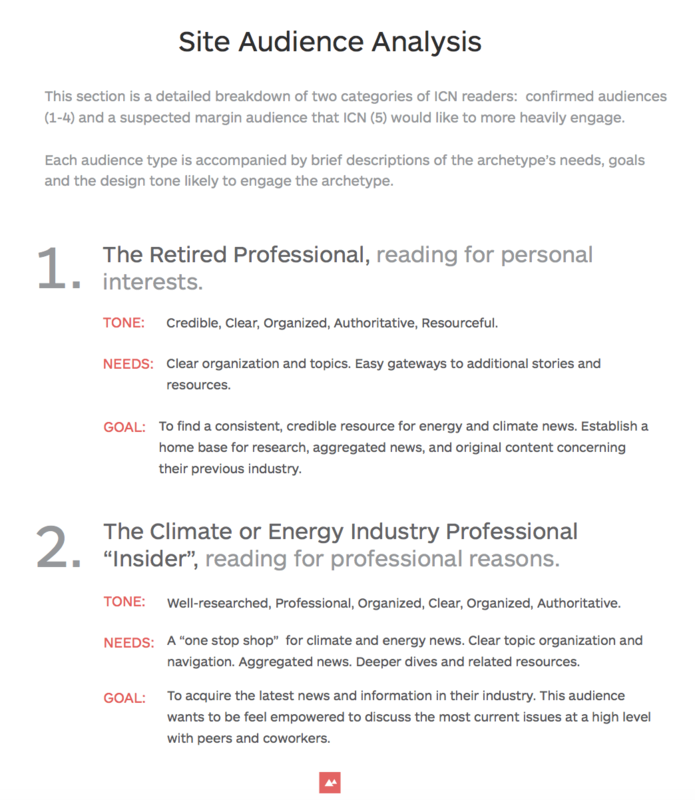 In order to further their mission, InsideClimate News (we’ll refer to them as ICN) needed a better framework for communicating their stories to the public. Their previous layout was dated, tricky to navigate, and didn’t quite seem to match the organization’s incredible reputation and award-winning work. From the very start, we recognized the opportunity to help this incredible organization refine their image and match their reputation. We laid our foundations for design by understanding their brand, audience, business goals, and most immediate needs. This deep understanding of ICN formed the basis of our informed design – design that’s not only appealing, but strategic, fact-based, goal-driven and purposeful. Learn more about our strategic process here. Starting with a style tile and wireframes, we worked with their team (the CEO, audience engagement specialist, journalists, everyone) to identify a layout and information architecture that improved ICN’s overall workflow and presentation. At this stage, we used Invision to create guided tours of the wireframes so that the ICN team could easily view and discuss the layouts after our initial walkthrough. This allowed ICN to provide the robust feedback we used to craft our draft designs. Many careful iterations later, we unveiled our final designs. 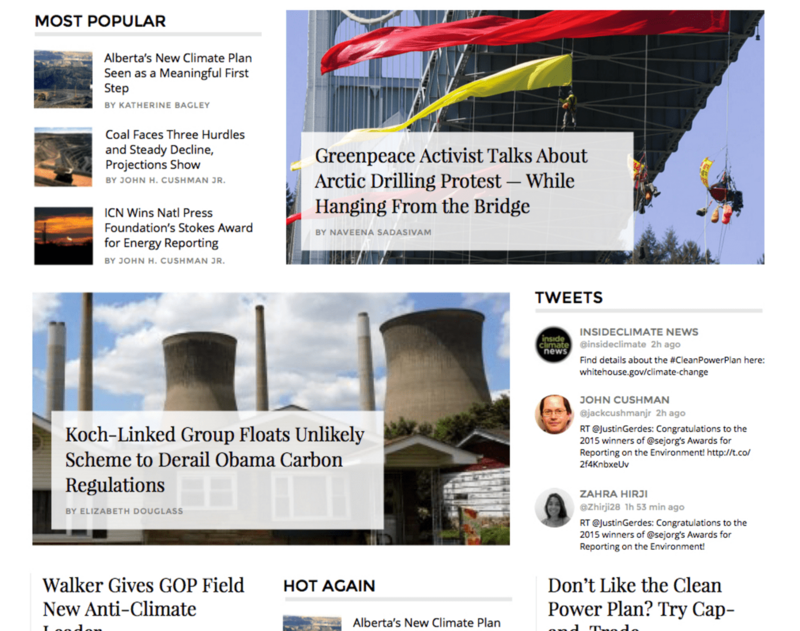 Through this intensive collaboration, we created a more strategic homepage structure, more engaging article layouts, easier to navigate newswires, and many other updates. For the homepage, both ICN and our team envisioned something that was easy to navigate, had clearly differentiated types of content, and reflected the overall strength of the ICN brand. These blocks allowed ICN to feature and re-feature content based on relevance, not necessarily on publication date. 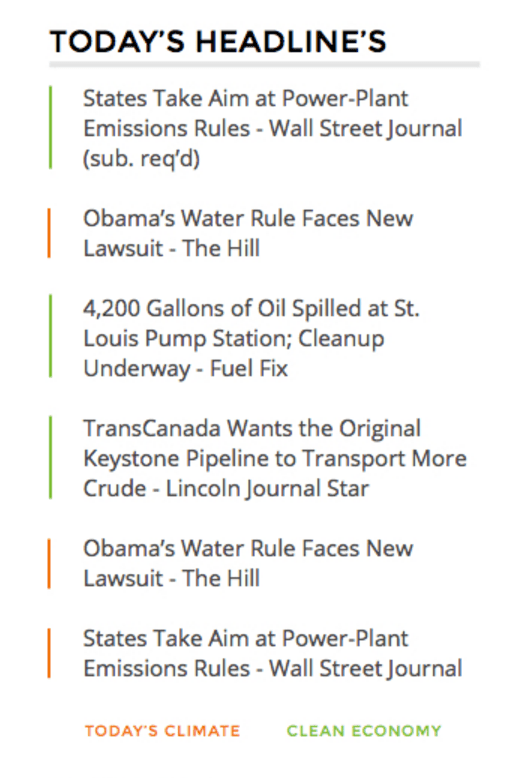 For “Today’s Headlines,” we added some additional color-coding to help visitors differentiate latest headlines by category – which also served to draw attention to ICN’s aggregated newswires! These updates, combined with an updated header, footer, and color scheme, presented a more accurate picture of the high quality content and journalism ICN has been nationally recognized for. After diving into ICN’s site analytics and speaking with their staff, we realized something interesting – most of their traffic was not coming through the homepage. Traffic was primarily arriving through article pages. This wasn’t a problem – but the fact that these pages saw a large amount of drop off was. 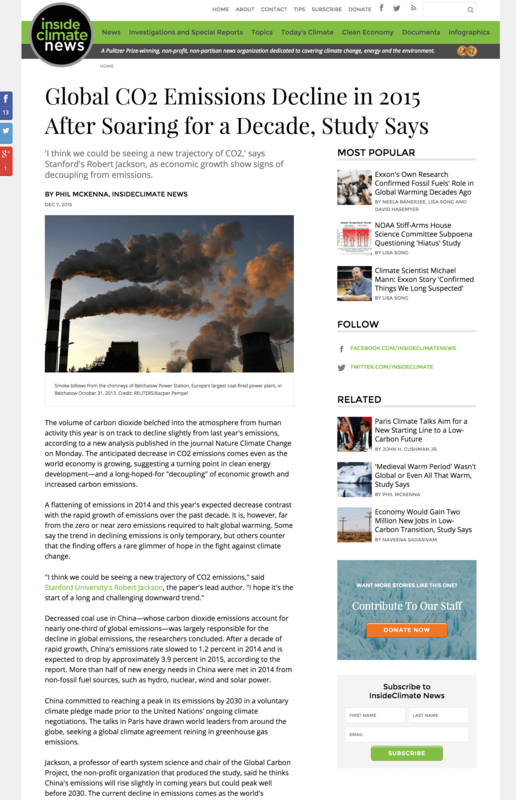 So we set out to update both the standard and featured article layouts with the goal of driving users deeper into the site through most popular and related stories. This update also helped ICN move off of a frustrating external publishing platform that they had been using for their featured writings. 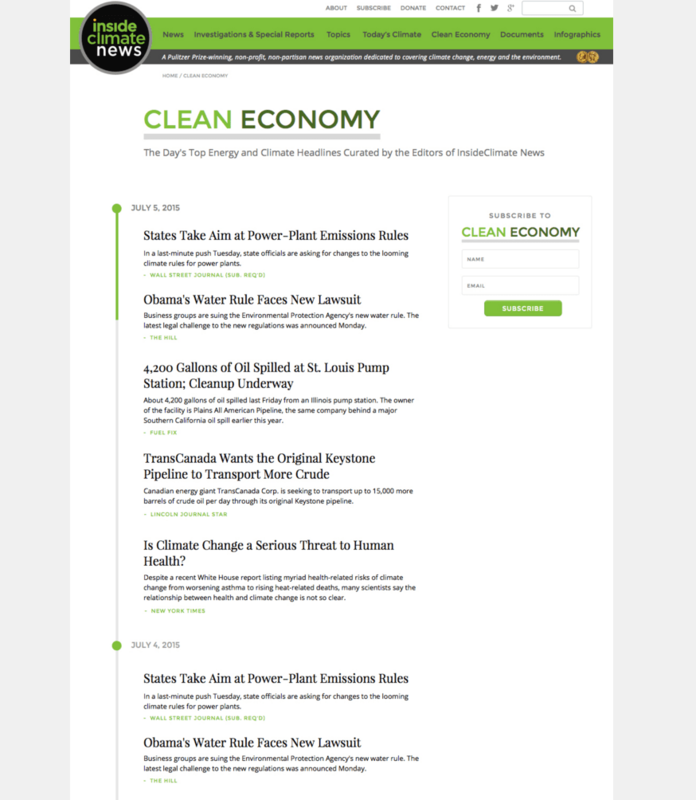 One of our favorite ICN products is their aggregated content. 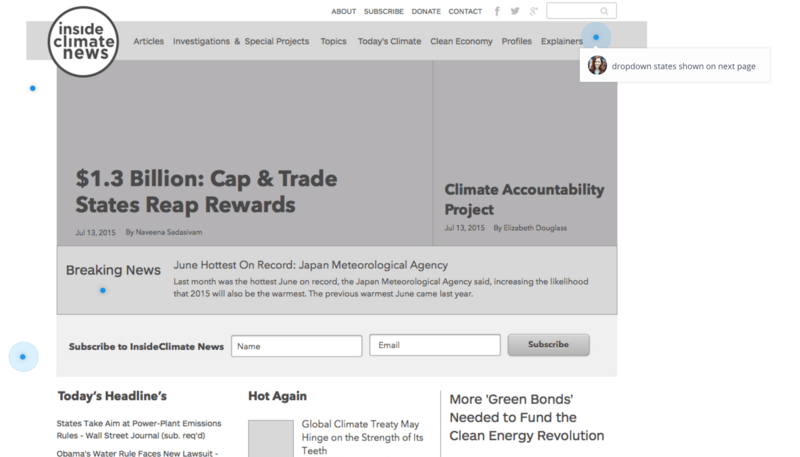 For avid consumers of climate news, ICN provides two types of aggregated content online and four via their daily and weekly newsletters (you can sign up for those here if you’re passionate about this issue and want to stay informed). 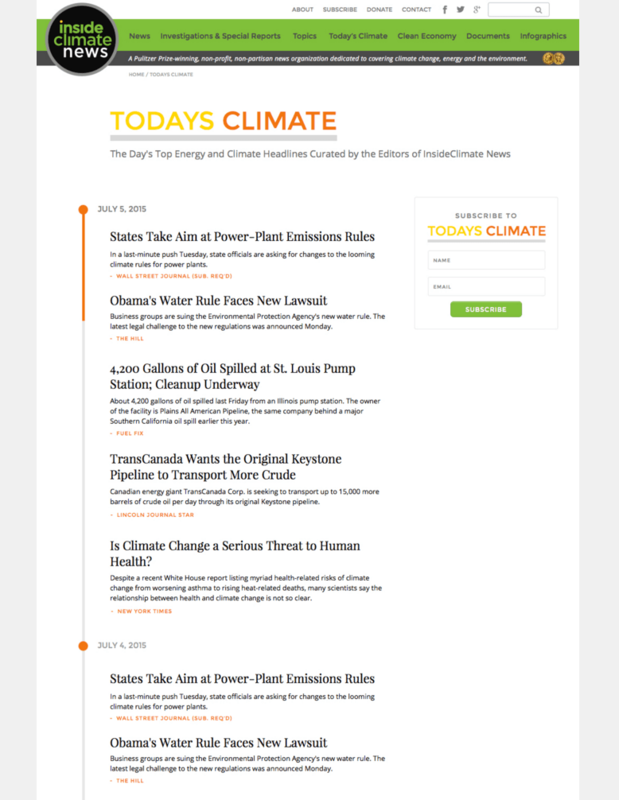 To boost newsletter signups, we placed a prominent signup box on each page and visually differentiated each aggregation – orange, yellow and red for Today’s Climate and shades of green for clean economy – so site visitors always know which aggregation they are exploring. We also included a nifty timeline feature that scrolls with the visitor so users can easily track their progress through the timeline. 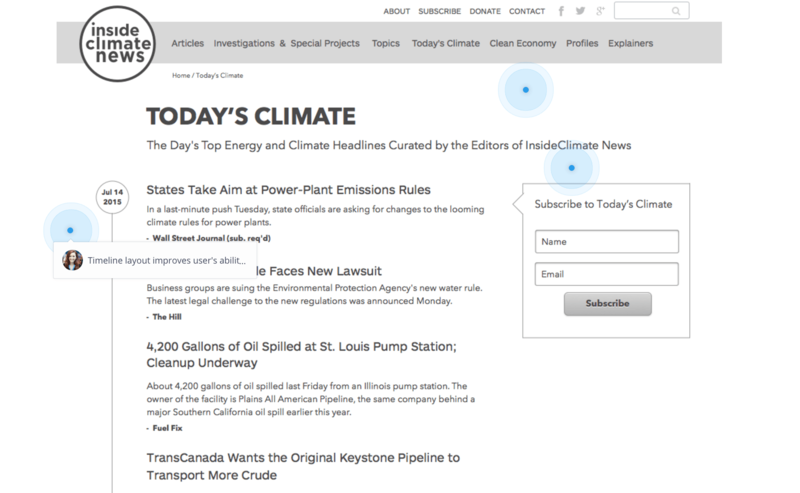 Check out insideclimatenews.org to explore more aspects of the site design yourself! If you’re a publisher or business interested in your own custom redesign, contact us here. We’d love to hear from you!